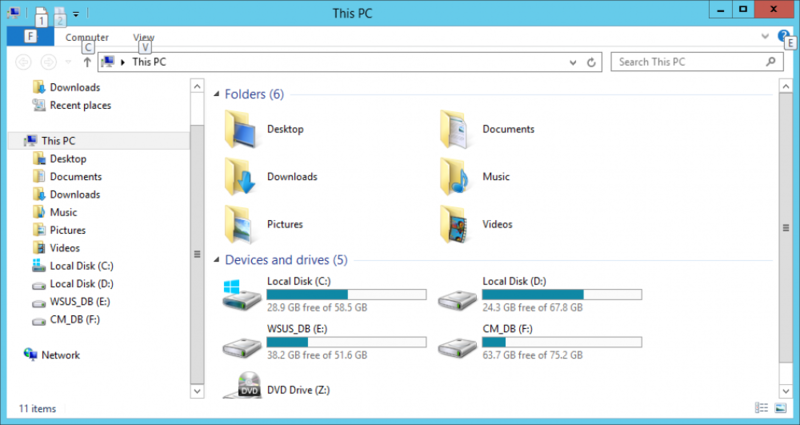 How to fix “There is not enough available disk space on” when upgrading the ConfigMgr AdminConsole | just another windows noob ? 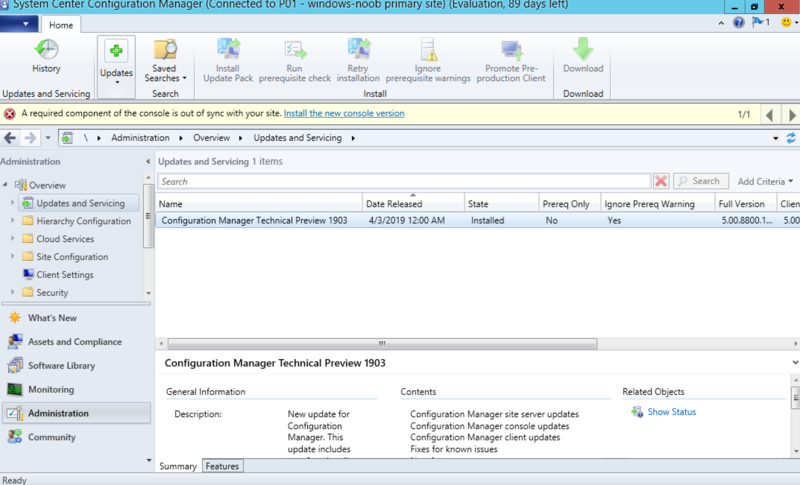 ← System Center Configuration Manager 1903 Technical Preview is out ! 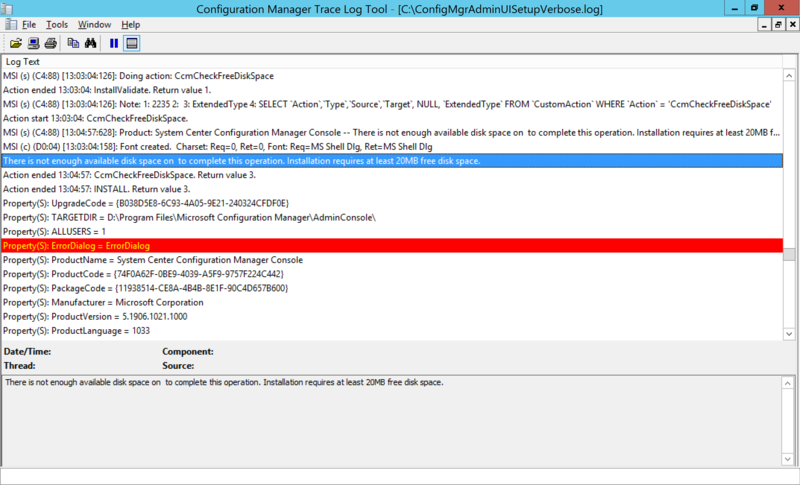 I was upgrading my Technical Preview 1902.2 lab to 1903TP and all went well, except for the AdminConsole upgrade (which now takes place a couple of minutes after the upgrade is done). After the site server upgrade is complete, you’ll see a new notification in the AdminConsole advising you to upgrade your console. After clicking on Install the new console version, the Admin Console automatically closes and an MSI kicks off, a few seconds later it fails with an odd error about lack of free disk space. I double checked my server storage and sure enough I had lots of free space, well above the 20MB mentioned. The following shows the error. And interestingly it’s referring to a TARGETDIR on my D:\ drive. This is the target location for the AdminConsole. This entry was posted in 20MB free. Bookmark the permalink.